Milcor aluminum ceiling access doors provide convenient access to services or controls located in ceilings. Model CT is designed for use in suspended tile ceilings. Units are installed by bolting the hanger brackets to the hanger rods furnished and installed by the ceiling contractor. 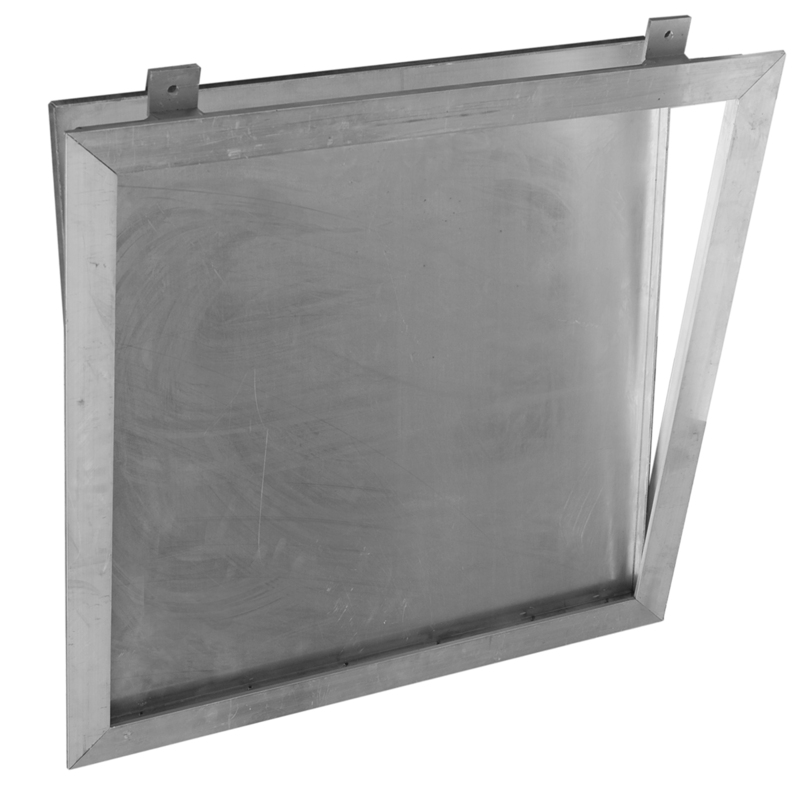 Aluminum cover and frame with stainless steel hinges produce a strong, lightweight, corrosion-resistant assembly. Continuous hinges, opening upward or, if desired, downward hinges are available. Frame flange serving as a support ledge for the tile.